I was born in Atlanta, Georgia and grew up watching TV coverage of the Gemini and Apollo missions. This was the beginning of a life long interest in space exploration and astronomy. I went to college at the Georgia Institute of Technology, receiving degrees in physics and electrical engineering. I still live in the Atlanta area and work as a electronics engineer. I am active in the Atlanta Astronomy Club and I'm currently serving as the club's newsletter editor. My interests include space exploration, astronomy and science in general, photography, hiking, and camping. 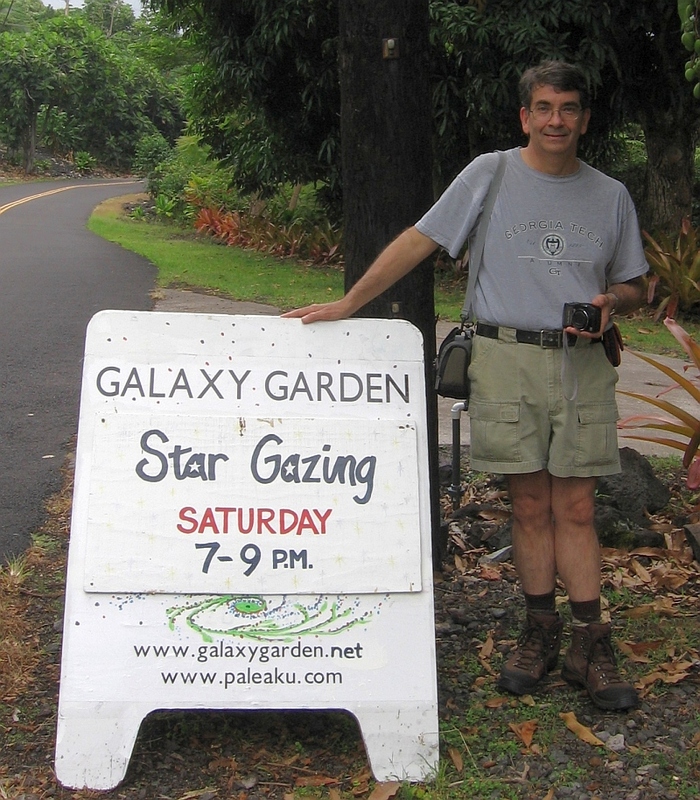 Tom at the Galaxy Garden on the Big Island of Hawaii.